I was at one of Carol’s presentations at NERGC 2017. She is knowledgeable and entertaining, and I’m looking forward to her presentations this year. Carol was kind enough to allow me to interview her. You began your professional life as a teacher and a professional development consultant. What made you become a full time genealogist? I have always been interested in psychology and what makes people the way they are. My doctorate in social Personality Psychology focused on early childhood memories and adult personality. Later I taught psychology and studied psychoanalysis in New York City. My hope was to understand people. Ultimately one cannot understand people without understanding their family dynamics and what is passed on through the generations of one’s family. So, as I learned more about my family origins and also did some free family searches for dear friends, I discovered that I loved doing this research. I give presentations because I love to share whatever I have learned that I believe can help others. What are your other interests outside of genealogy? First and foremost, baseball, especially following the New York Yankees, which can be a challenge in New England. I love playing the guitar and singing folk music being a child of the 60s and 70s—now I listen more than I sing. I also love to garden with enthusiasm if not skill. And my favorite interest is my sweet cat, Mr. Spice Pie, who offers me companionship, snuggles and amusement. What is your favorite, most helpful resource that you feel is underutilized? What are the biggest challenges of Maine research? Definitely New England town records including tax records. They can be hard to find, hard to decipher, hard to make sense of, but they are so worthwhile in terms of adding details about the location and times in which one’s ancestors lived and also about their lives. Recording of vital records was not required until 1892 and so not all towns were diligent about recording them. Shortly after 1892 about 20% of Maine towns forwarded their records to Augusta but clearly that excludes many towns. In some locations, such as the Cumberland County Court House, records burned. The early Cumberland probate records prior to 1908 were destroyed. In general record keeping was not as rigorous as in Massachusetts proper. Records are not always located in a logical place and sometimes custodians guard them very fiercely. Maine deeds, many of which are online, can be tremendously helpful but researchers need to cast a wider net regarding time, place, names and other details to make the most of them. People need to pay attention to county changes. For example all of Maine was in York County until 1760 when Cumberland and Lincoln Counties were formed. York Deeds were published in about 18 volumes, which covered transactions up to about 1737—this leaves the time period from about 1738 up to 1760 unpublished. Some people assume that everything is published. Maine research is challenging but rewarding—local records provide many clues. The Maine Historical Society in Portland, the Maine State Library and Maine State Archives in Augusta, and other repositories are tremendously helpful. The Maine Genealogical Society, which has published more than 80 volumes of town/city transcriptions and also Maine Families in 1790, is a great resource. People should check our web: www.maineroots.org. Two of your lectures at this year’s conference concern tax records and land deeds. Are there any of these records that would be helpful for folks researching female ancestors or other ancestors who may not have owned property? Definitely yes. Women could be included in tax records if they headed a household or were widows. Deeds often mention release of dower by a wife and include the wife’s name, indicating if she could write or if she signed with her mark. Women may be mentioned as neighbors. Tax records often included a poll tax based on a male between the ages of either 21 (sometimes 16 or 18) and perhaps 65. If John Allen was taxed for 3 polls one year, that indicated 3 males were of taxable age that year. If the next year he was taxed for 4 polls, this indicated that someone else in the household had come of age. If the next year there were only 2 taxable polls, perhaps a male had died or moved out of the household or became unratable as a poll. The more you learn about these records, the more clues you can find in them. What does this year’s conference theme mean to you? What would you say to convince a first-timer to attend? Family– Link to the Past and Bridge to the Future—that says it all. I enjoy learning more family stories about my ancestors, but even more I enjoy finding as yet undiscovered relatives and sharing family stories with the next generation. This is my favorite conference. There are always excellent speakers discussing useful topics and friendly participants willing to share their knowledge, time and friendship. If you have New England ancestors, the conference is especially helpful. 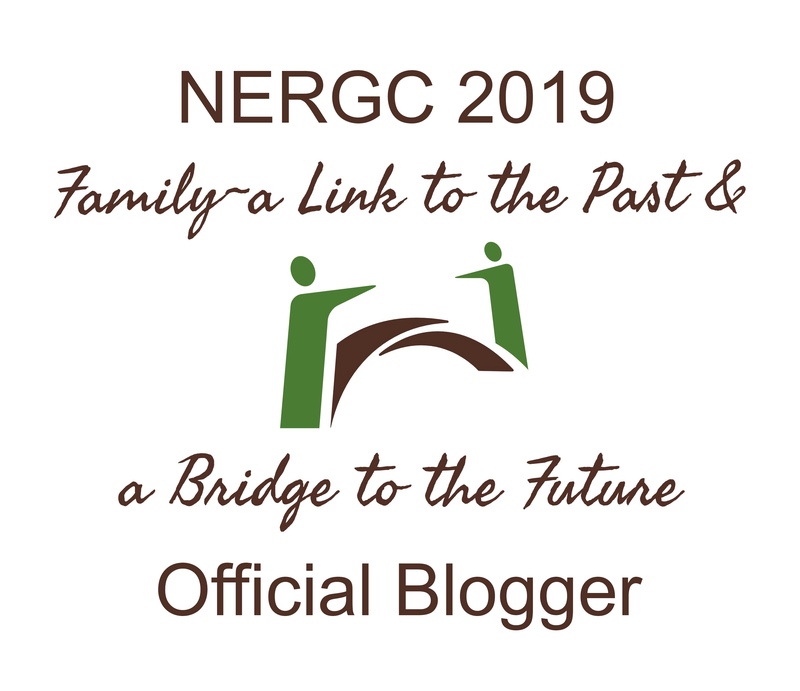 Even if you don’t think you have New England ancestors, you might have them, and the Conference provides much helpful information on how to conduct genealogy research. There are still spots available for Carol’s workshop on Wednesday, so register quickly before they fill up! The conference is not just great workshops, lectures, and fantastic featured speakers. There is also a marvelous exhibit area featuring books, gadgets, and representatives from genealogical societies. Did I mention books? I also love the chance to spend a few days with other people who are passionate about family history. Each conference is an opportunity to make new friends and connect with old ones. See you in Manchester!